1 Qt. Professional Strength Multi Use Bathroom Cleaner. Dissolves soap scum and hard water deposits. Apply with a soft cloth and rinse with a damp soft cloth or sponge after 2 to 3 minutes. 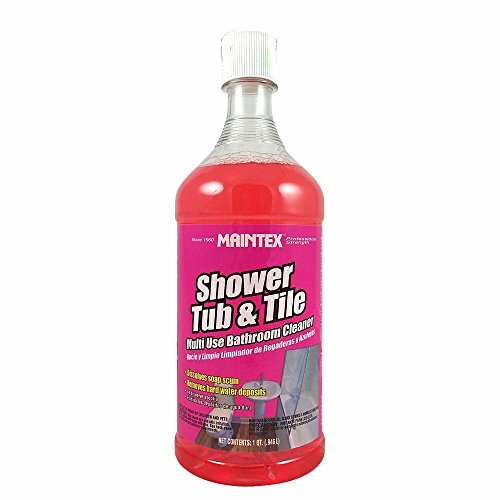 Good for glass, tile, stainless steel and chrome bathroom fixtures. (Not for use on marble or natural stone).